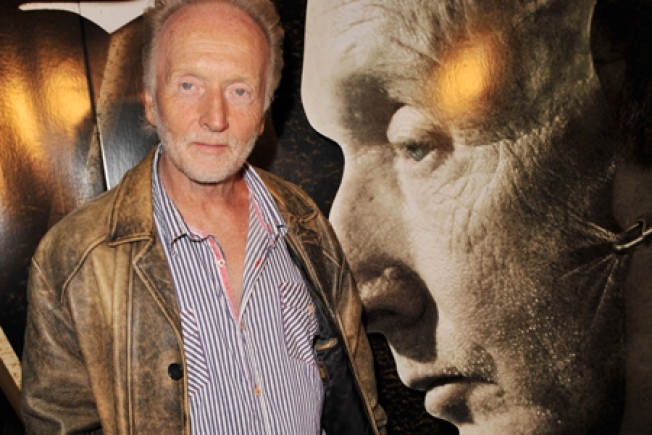 "Saw V"'s Tobin Bell will be on hand, giving you his patented glassy-eyed stare, at Sawmania this afternoon and through the weekend. BLOODY GREAT: Sawmania descends on Manhattan for a three-day fest at BLVD devoted to all things Saw. Meet the stars! (Tobin Bell will be on hand.) Touch the "legenday Saw puppet"! (What?) And our favorite: Get a picture of yourself inside the filthy, filthy Saw bathroom! 1-6PM, plus 10AM-6PM Saturday/Sunday. BRAND NEW: Despite hosting MTV's VMAs and popping up in Forgetting Sarah Marshall (as Kristen Bell's bf), U.K. comedy star Russell Brand is still not quite a solid blip on the U.S. radar. Let's hope his show at the Blender Theater helps change that. 8PM. FLASHDANCE: 60x60 Dance sets 60 one-minute dances by 60 different emerging NYC choreographers to one-minute music pieces by 60 different composers. Whew! Who packed the Gatorade? Winter Garden at World Financial Center, 7:30PM. SEA WORTHY: We're suckers for pretty melodies and wall-of-sound arrangements with moody string sections, so it's no surprise we've had Neptune City, the debut disc from Nicole Atkins and the Sea, more or less on repeat for months. Hear the Jersey songstress live at Bowery Ballroom, with openers Salt & Samovar. 8PM.